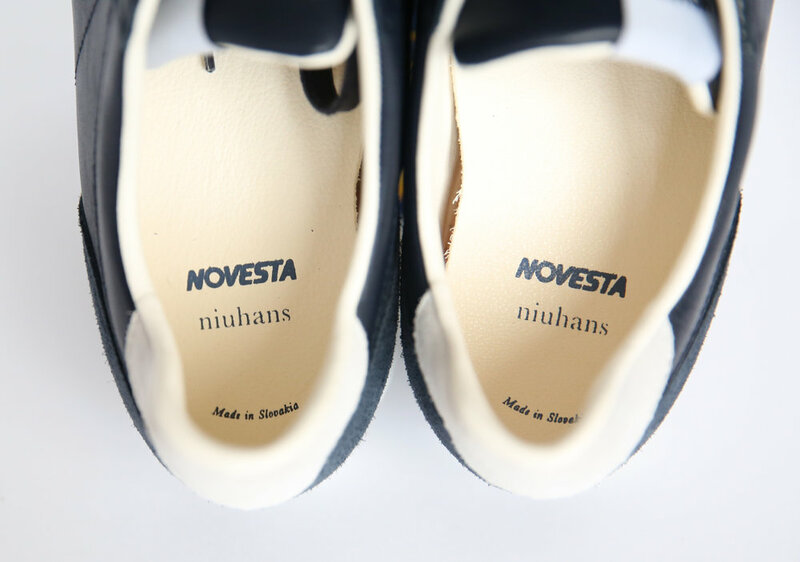 You’ll be familiar with Novesta sneakers. You’ll have seen the canvas high and low tops – clean, distinctive rubber sole, made in Slovakia. Indie store MKI Miyuki-Zoku in Leeds deserve credit for first bringing these cheap and resilient kicks to the UK. Although now they’re everywhere, stocked by everyone from OTHER/Shop to End. Universal Works is offering a colab this season and over the last couple of years we’ve seen myriad fabric and sole variations offered up. As an underground alternative to Converse, they’re feeling a bit done. A fact that makes these Niuhans X Novesta numbers all the more interesting. 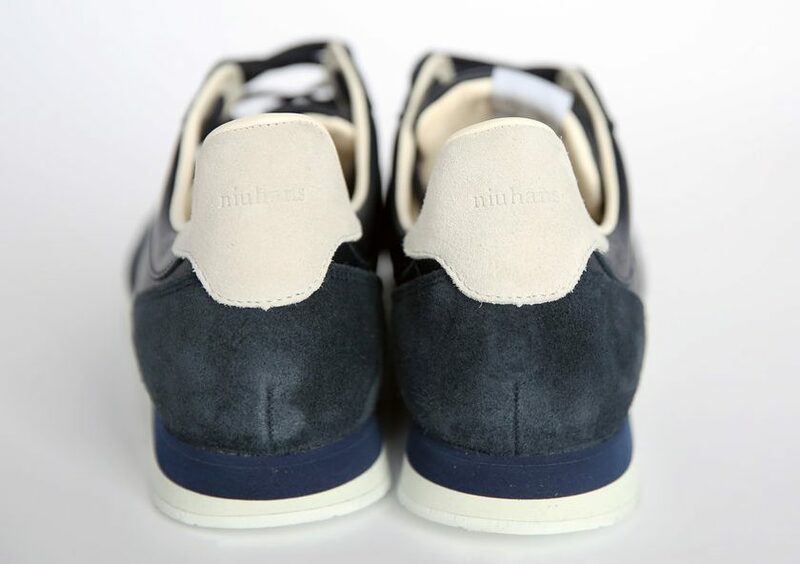 This is the first colab for Japanese premium casualwear manufacturer Niuhans. 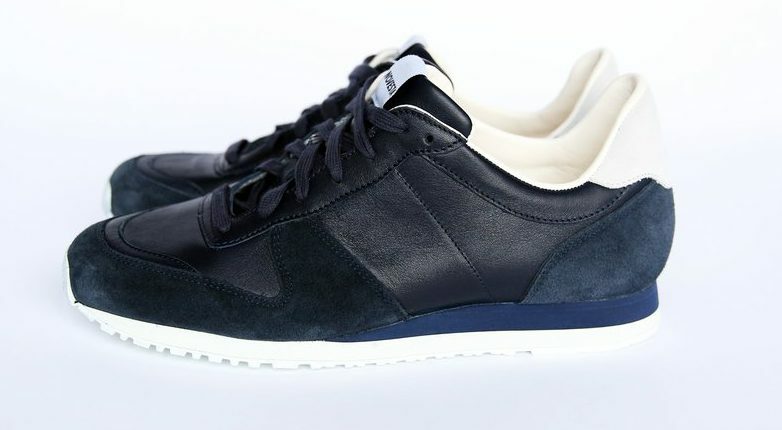 And these sneakers offer a pretty logical accompaniment to their usual output of everyday, utilitarian simplicity. Firstly, it’s a runner. Incorporating suede and Italian cowhide leather into the upper, you’ve also got a an off-white suede heel counter and a two tone cushioned EVA mid. It’s very much, a handsome shoe. To a certain degree, they’re strictly business. If I was an Argentine multi-millionaire, buying large parcels of land, via an iPad Pro, sitting buy a pool, sipping some squash, I’d be wearing these. Price-wise, they obliterate. At 235 pounds of quid, they’re for serious sneakerheads only. Or perhaps sour-faced, middle-aged blokes who find it irritating that everyone and their mum seems to have regular Novestas these days.